Published on Thursday 7 February 2019 by Mrs Fox. 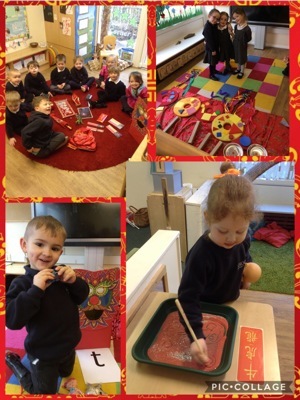 This week we have had lots of fun celebrating Chinese New Year. 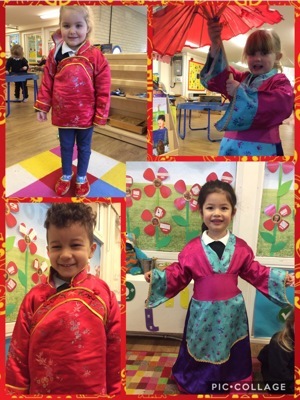 We have learnt all about how people celebrate Chinese New Year, tried on some traditional Chinese clothes, built dragons and practised writing some Chinese letters. 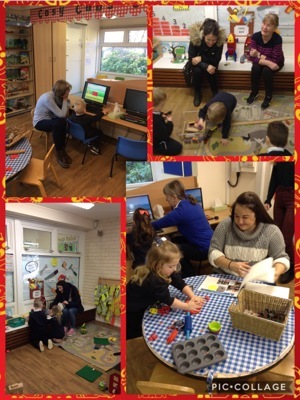 We would like to thank everybody that was able to attend our stay and play sessions this week. 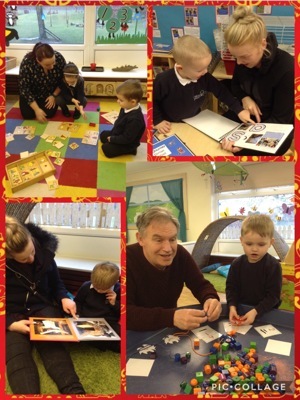 We hope you enjoyed exploring the nursery unit with your children and looking at their amazing work in their learning journals. Thank you for your continued support! 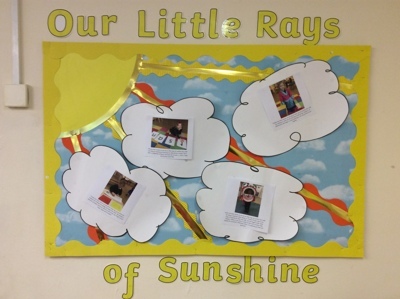 Our little rays of sunshine this week are Sophie Pearson for settling so well into her new key worker group. Sophie is so enthusiastic and eager to learn each day. I am very proud of you Sophie! Mia Palin for doing an amazing job learning our jolly phonics sounds. She is able to confidently recognise and name the sounds; s, t and a. Keep up the great work Mia! Arthur Hendry for being a superstar when doing our Chinese Dragon dance this week. He danced his little socks off, with the biggest smile whilst doing so. When it was time to swap he then had a boogie while playing his instrument. Well done Arthur, I'm pleased you had such good fun! And finally Scarlett Campbell for her brilliant knowledge of shapes this week. She named a selection of shapes and even told me a semi-circle was "half a circle" Super shape work Scarlett! Just a reminder that we will be visiting the local library with the children on Monday 11th February (pm) and Thursday 14th February (am) We would also like to remind you that we are off next Friday 15th as it is a teacher training day and we return after the half term holiday on Monday 25th February.